DEARBORN – The cast from YouTube’s famous kids’ show “Fozi Mozi & Tutti”, an Arabic children’s program, will visit Dearborn in April as part of their American tour. There are barely any Arab American programs for kids available. Fozi Mozi & Tutti are characters from an Arabic children’s channel known on YouTube for their cultural friendly material. Arabic language content as well as content that feature the Arab cultural heritage is what drew many parents to this program, including Arab American Oncologist Dr. Nabeel Shalan. Shalan, a resident of Houston Texas, decided to manage and produce the Palestinian “Fozi Mozi & Tutti” team under Nano Productions, starting with a tour in America. His aim was to share this work with communities with Arab concentrations in the United States through a tour. The team will be touring Houston; Dearborn; Paterson, New Jersey and Annandale, Virginia. Shalan was impressed by Fozi Mozi & Tutti and Mandelina, the team’s characters, after he sensed both the extent to which his three children were influenced by them and their desire to speak in Arabic because of the channel’s cultural influence. Its purposeful content and fun-loving style attracts children. In an interview with The AANews, Shalan said Arab American children lack programs that have Arabic-speaking recreational content, which contributes to their loss of connection with the language and the culture of their parents. “‘Fozi Mozi & Tutti’ bring our children closer to our native language through comic characters rather than dry letters,” he said. He also pointed out that, “the childhood period is very sensitive to everything the child’s brain receives, especially with regard to learning the language. Shalan stated that, “it is an important opportunity for our children.” He added that the team has become the most successful children’s entertainment show in the Arab world, both on stage and on the YouTube screen. “I loved repairing this gap and introducing the children of our community to this channel, whether through YouTube or theatre,” he said. Shalan described the upcoming U.S. tour of “Fozi Mozi & Tutti”, which runs from April 4 to April 8, as “just the beginning” of his new company, Nano Productions. Through it he will present works of art aimed at the Arab community, both young and old, including comedy, music and folklore. 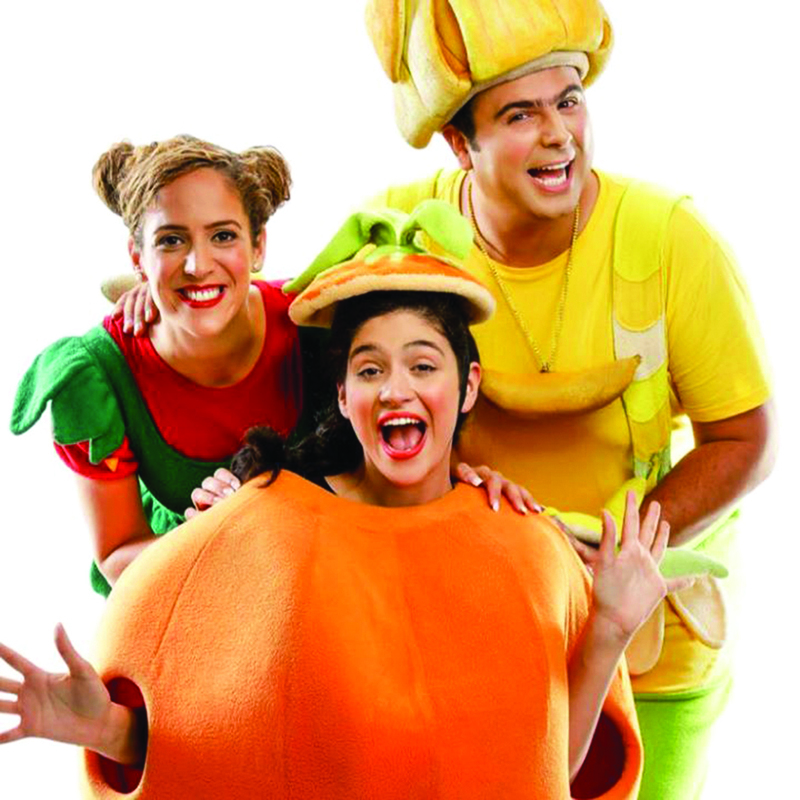 Following an appearance in Houston on April 4, the “Fozi Mozi & Tutti” play will be held at the Ford Community and Performing Arts Center in Dearborn at 7 p.m. on April 5 . It will then go on to Paterson on April 6 and then to Annandale on April 8. For reservations in Dearborn, please visit Dearborntheater.com or call 313.943.2354.